When we think of the Revel Drive, all we want to do is give thanks to the designers who came up with their logo – because this is a company that simply brings a smile to your face. This skateboard kit is simply the best option for what it’s built for. Great build quality. Capable top speed. Acceptable range. Interesting innovations that you don’t see with other brands. All in all – if you’re looking for a kit that will do the job and do it well. Stop here! Consider the Mellow Drive, the Boosted of the conversion kits side of the tracks. Their expertly engineered drives are known for bringing only the best quality to the table. 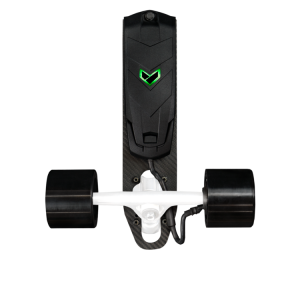 And as such, they’re priced significantly higher than other electric skateboard kits. It’s still going to cost a pretty penny. But at least you know you’re getting a top notch product along with some good ole sticker shock. 2 year warranty for drive and remote. 1 year warranty for battery pack. 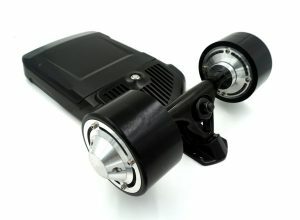 First things first: Unlimited is one of the few longboard conversion kit companies that has some serious options. There is the Solo Kit(which is the one on this list), the Cruiser Kit, and the R Kit. Each version getting progressively more powerful as the list goes on. The reason we decided to go with the Solo is because it’s simply the most balanced. If you’re looking for a conversion kit, instead of a complete electronic longboard, chances are you’re not looking for an extremely powerful option. You’re probably more concerned with convenience. Hence the Unlimited Solo Kit. Super small. Extremely lightweight. With decent power. 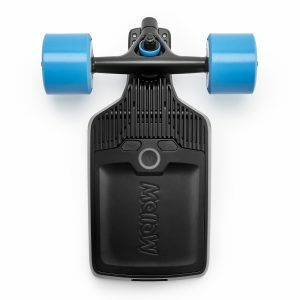 Put simply – the WowGo Kit is the budget option for those of you chasing the electric riding experience. 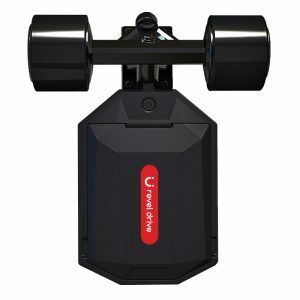 Onan’s X2 Booster is the answer to a mostly underwhelming first attempt at joining the auto skateboard market. Their first iteration, the X1, was largely a disappointment when it was first launched and has since been discontinued. Luckily for us – the company seems to have learned from their mistakes and have built a better, more competent successor to their lineup. Right now, Onan has an X2, X3, and super exciting 4WD version of their Booster Drives. The X2 being the most practical most users. Everything about this situation is still largely uncharted, so proceed with care here. We will be back with more information as the story of this bright-eyed company evolves (or disintegrates, depending on the outcome).